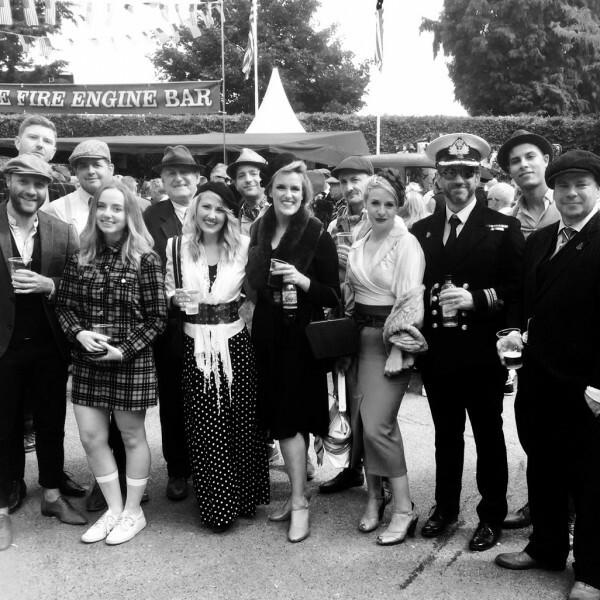 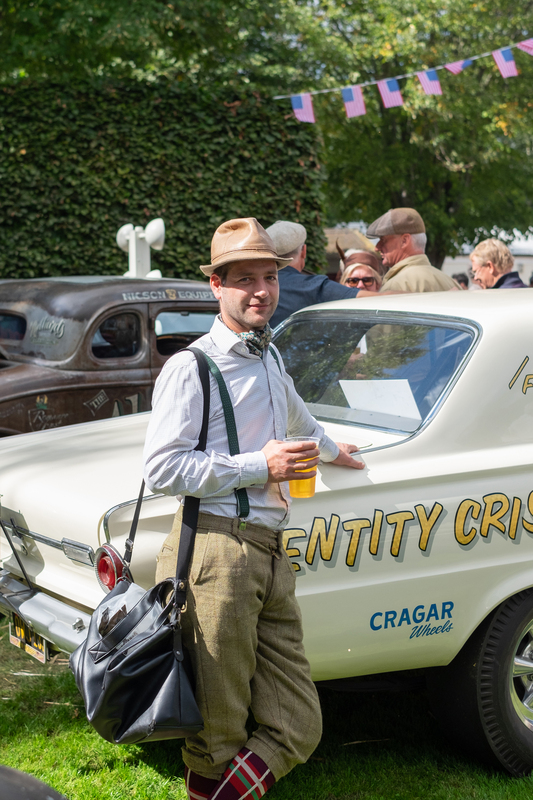 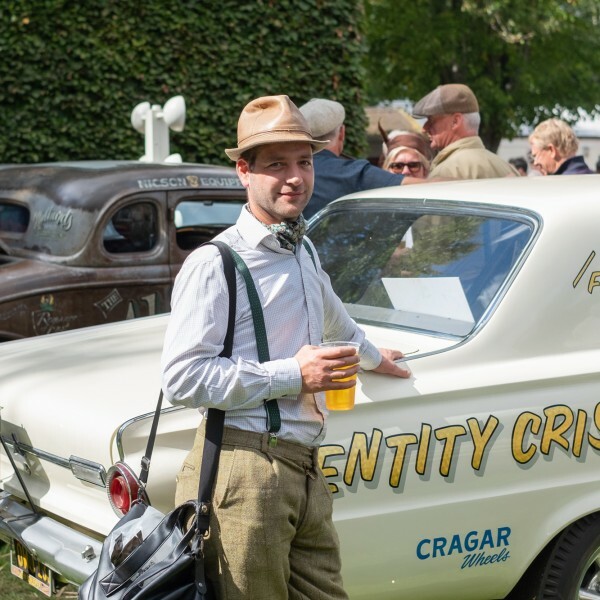 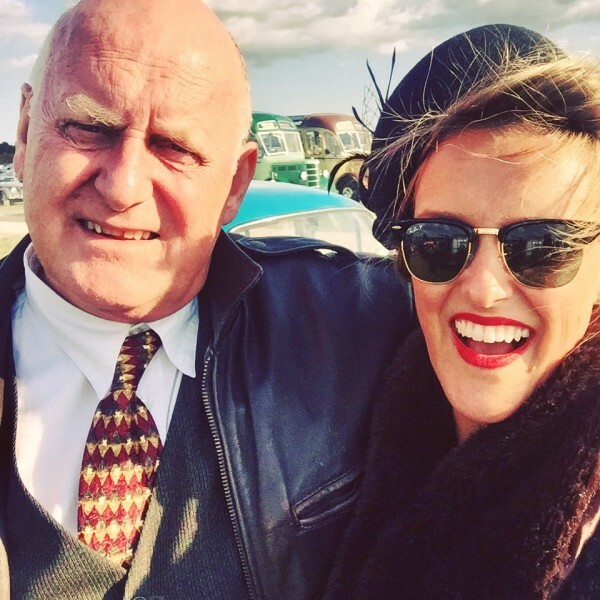 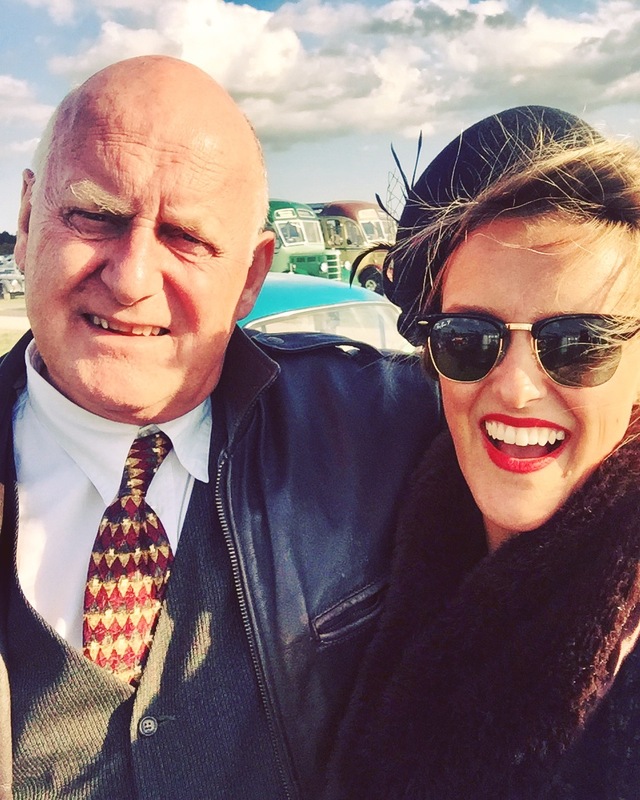 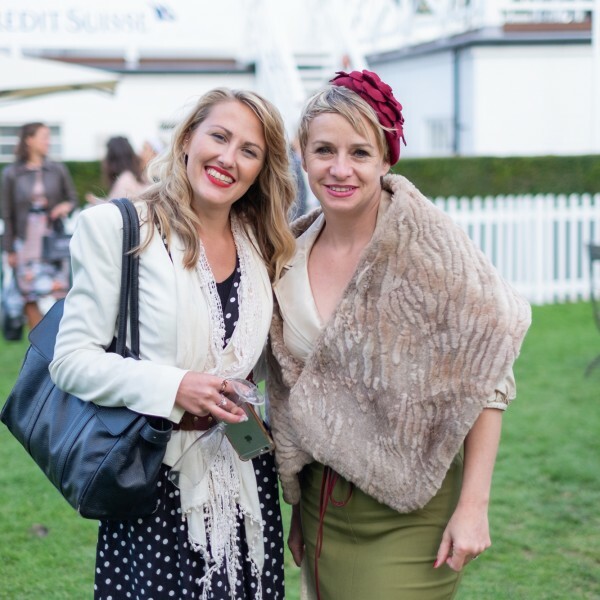 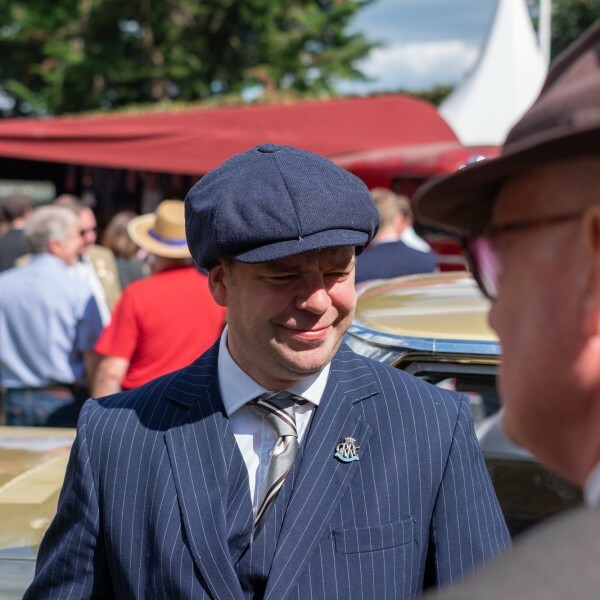 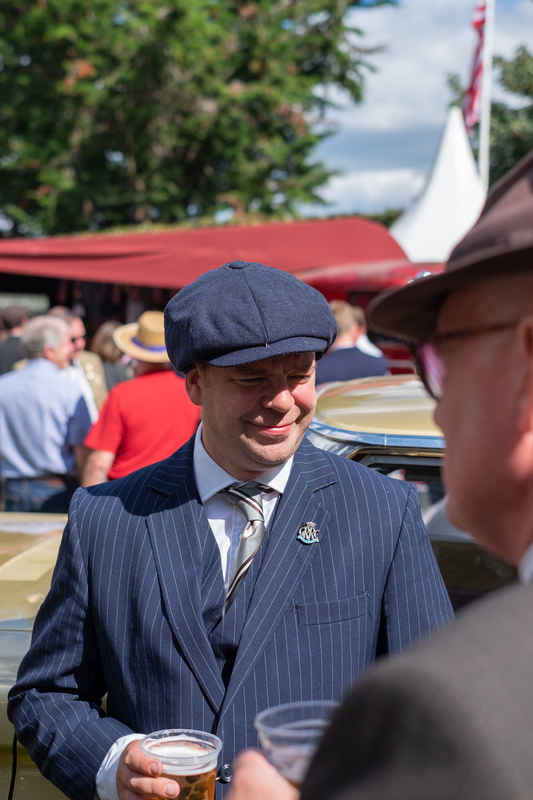 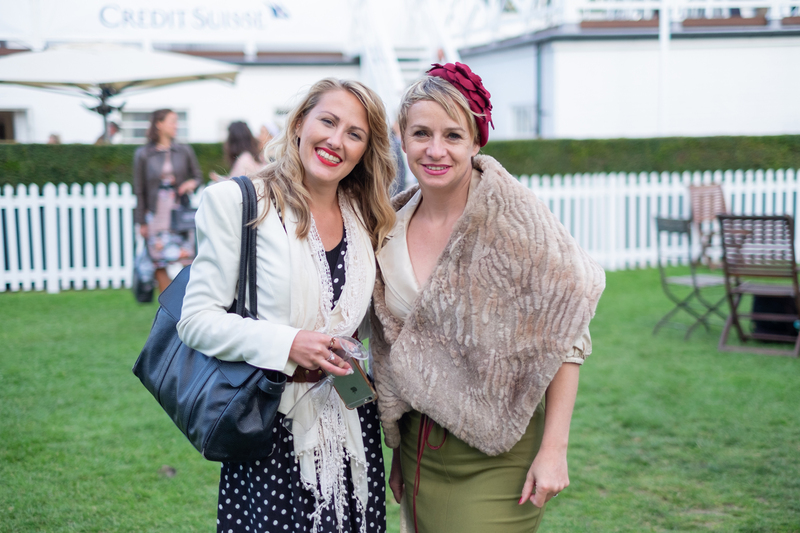 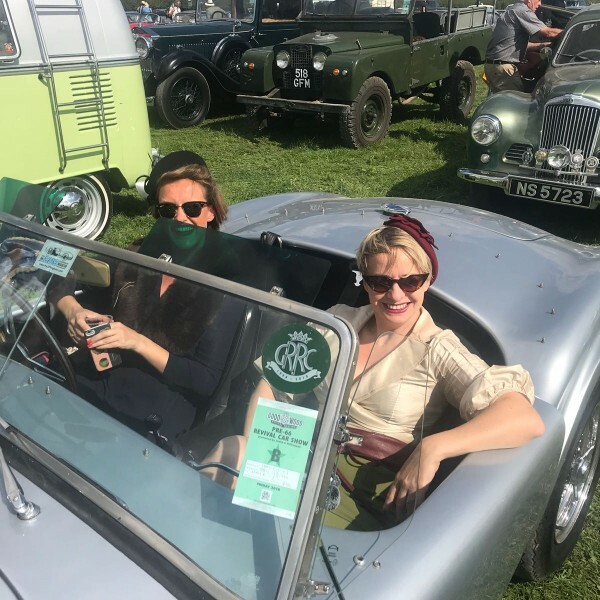 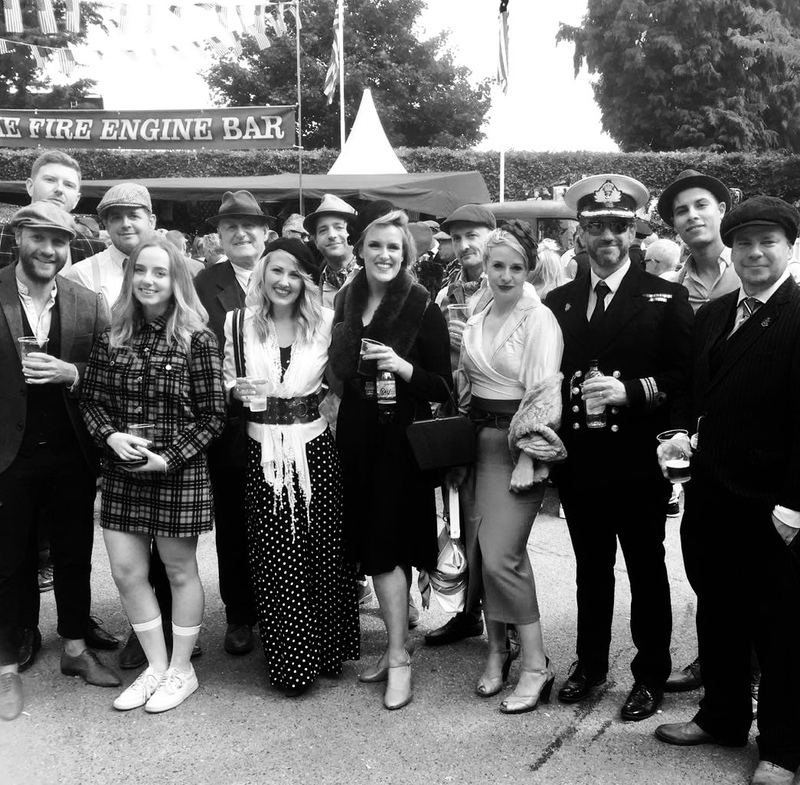 It has been a long standing tradition that Summer Creative’s away days are held at Goodwood Revival. 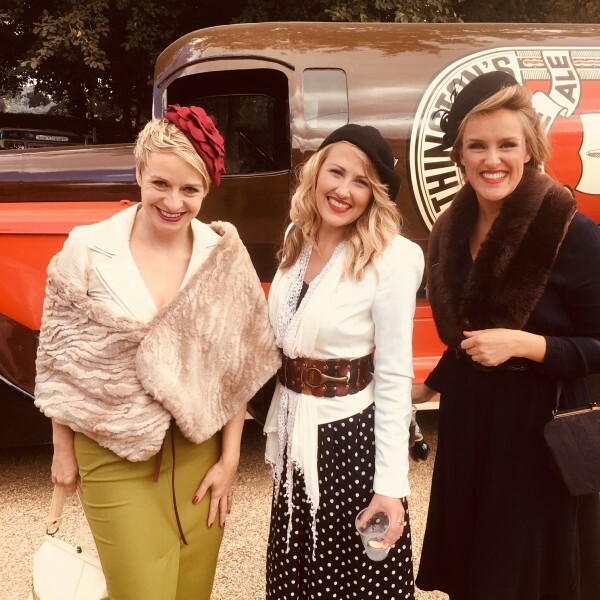 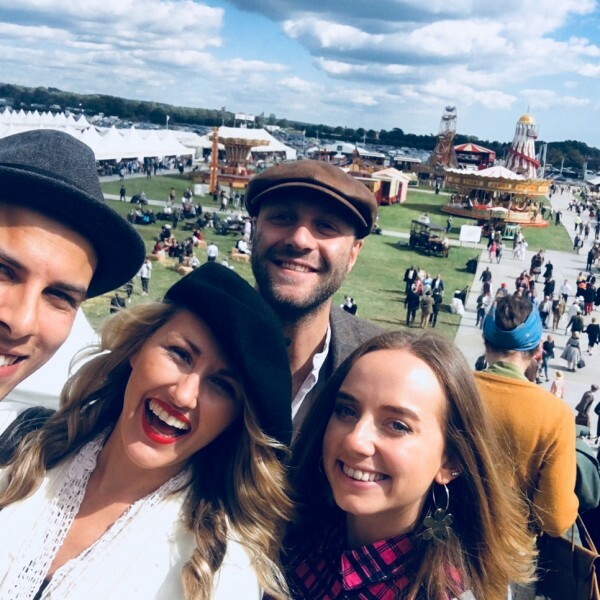 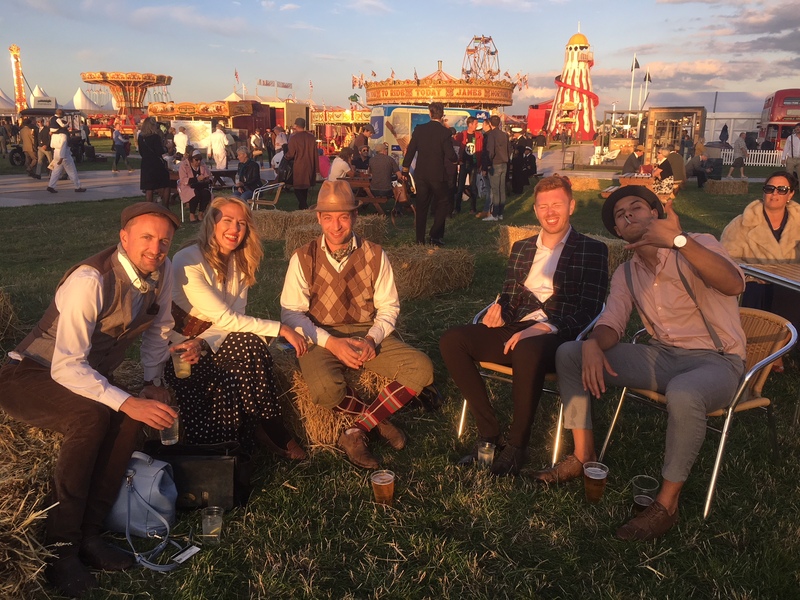 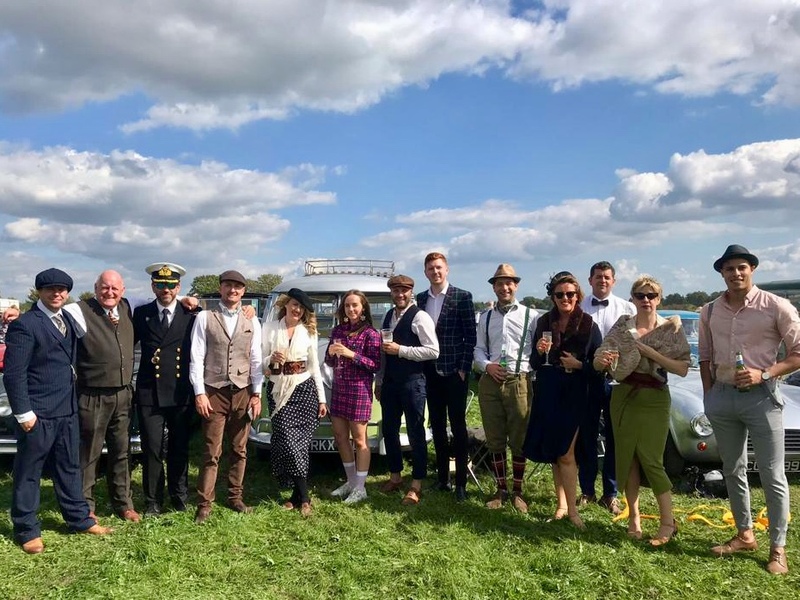 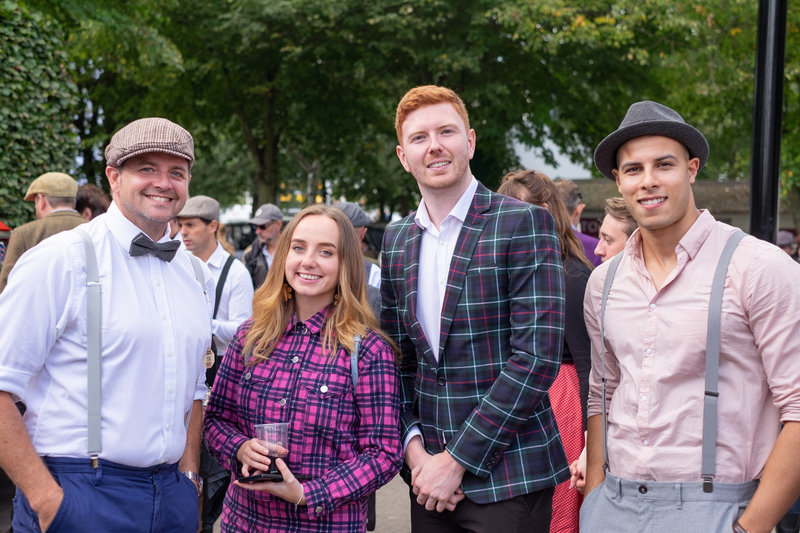 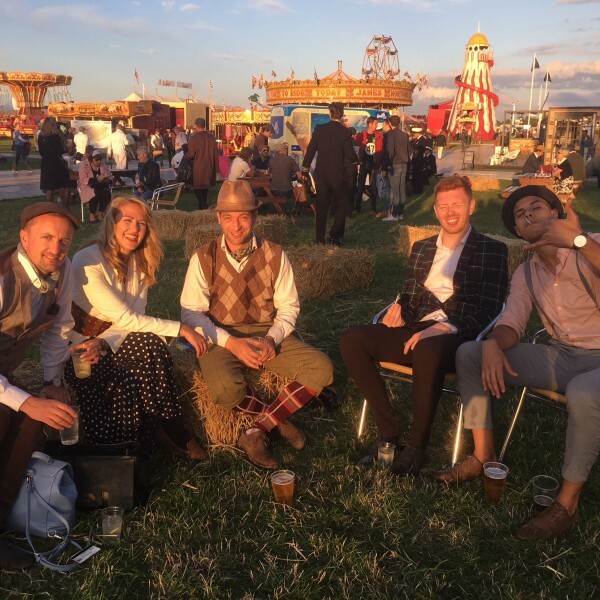 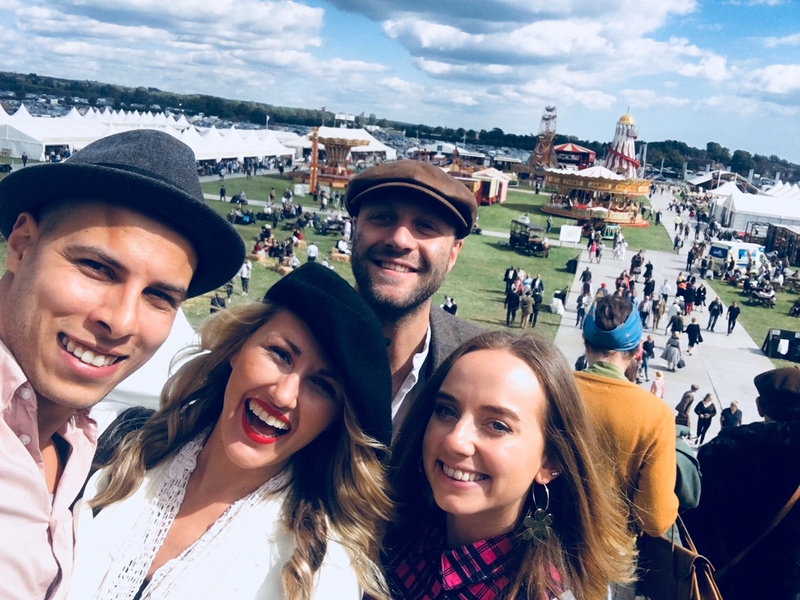 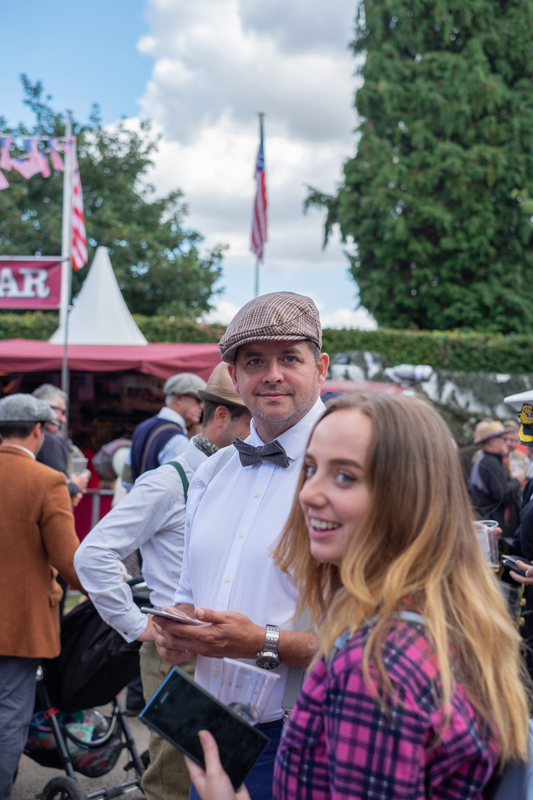 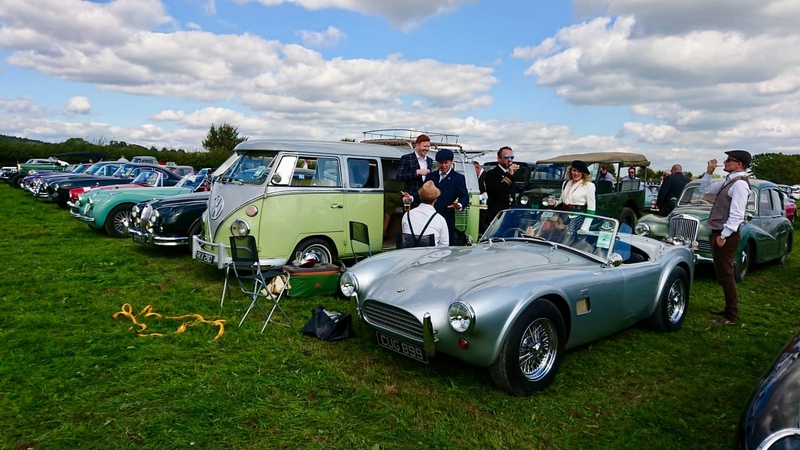 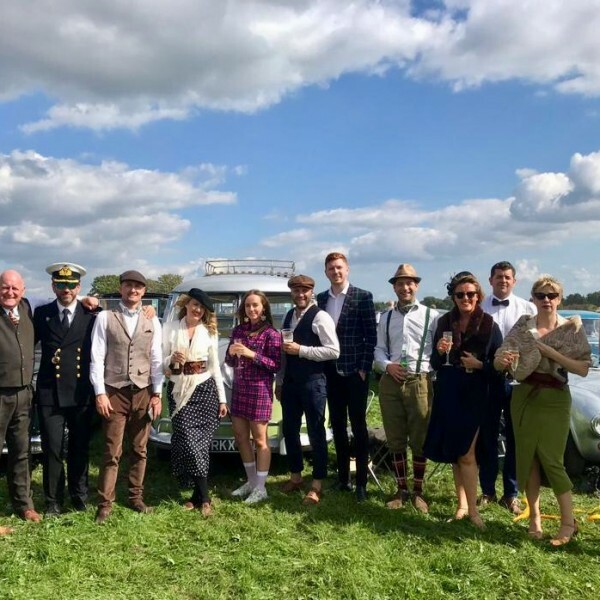 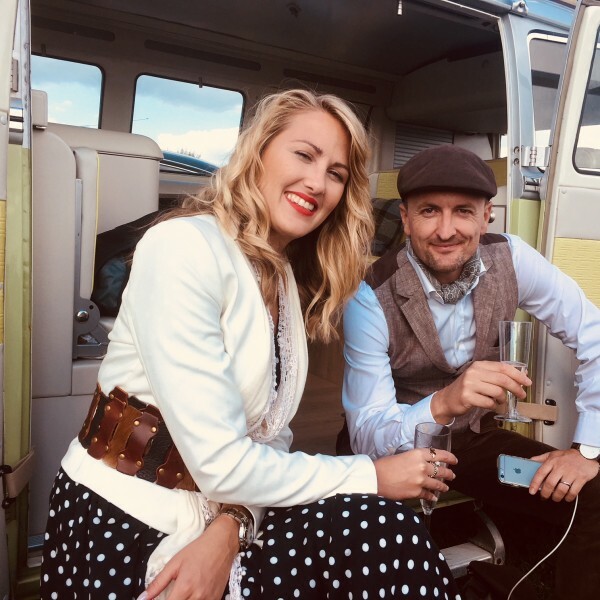 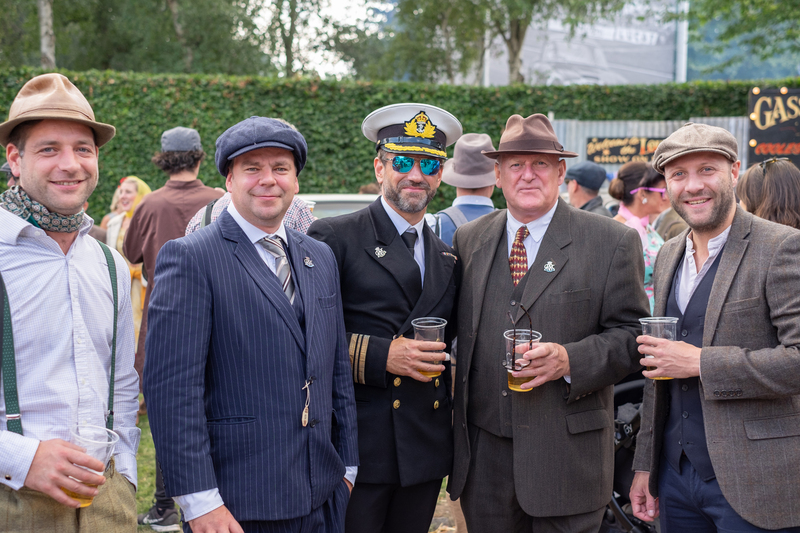 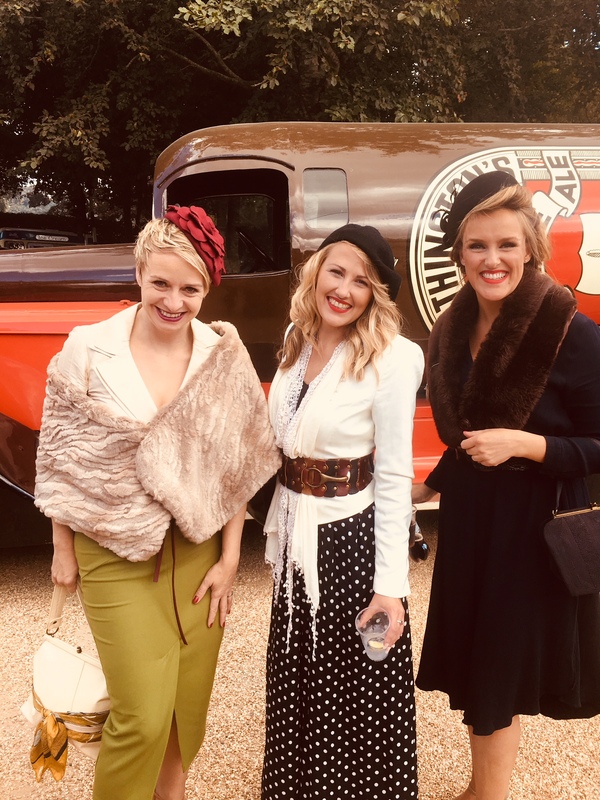 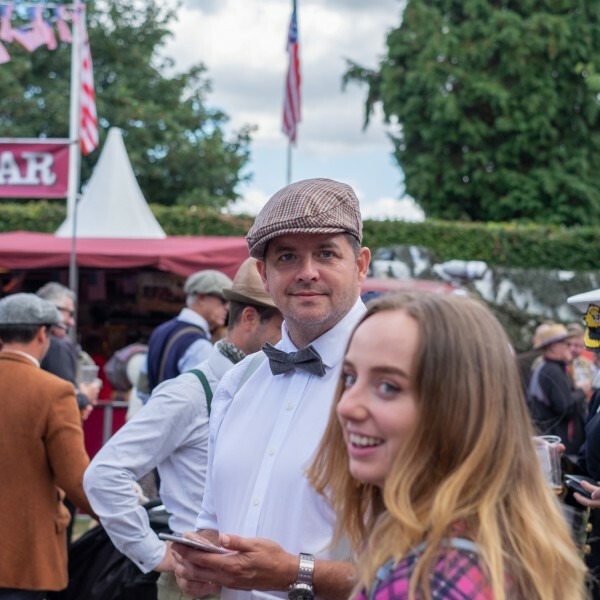 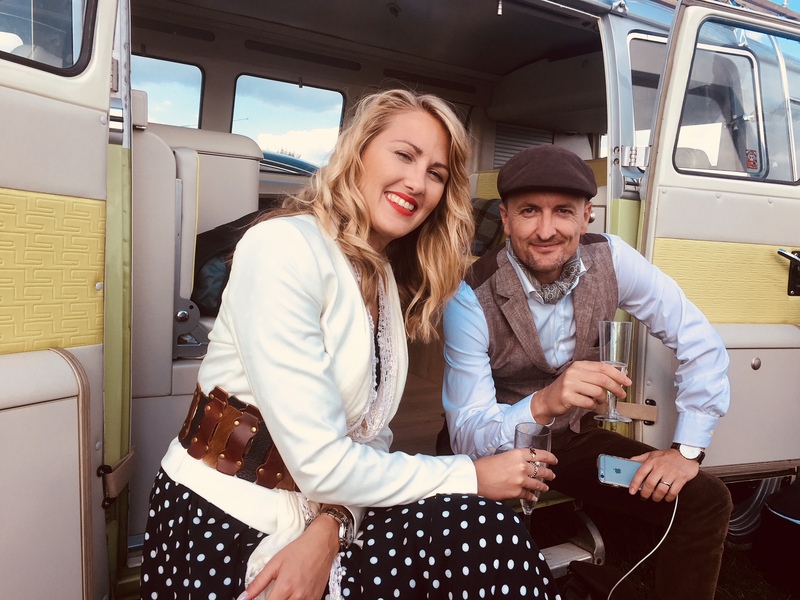 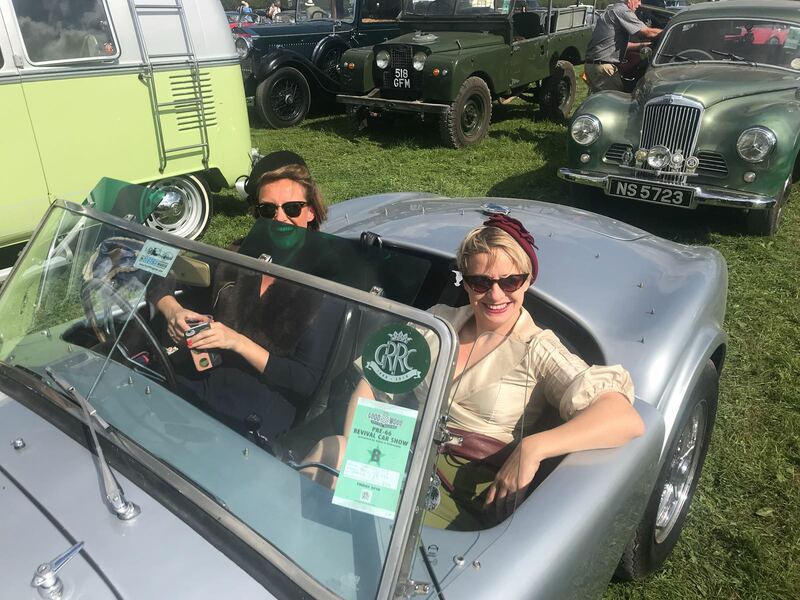 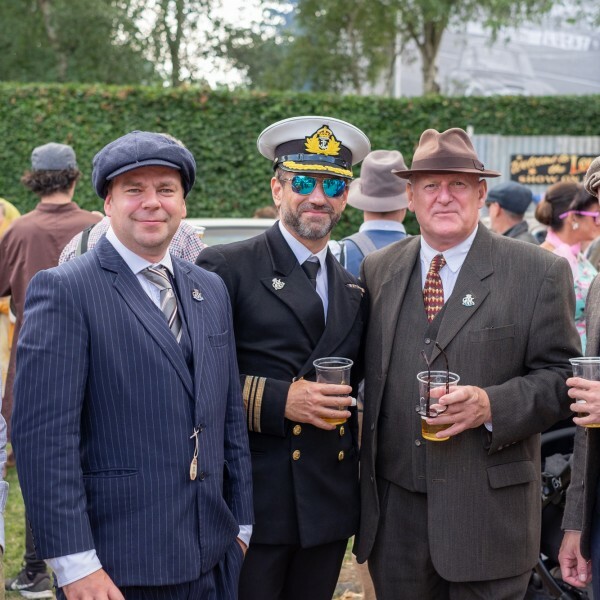 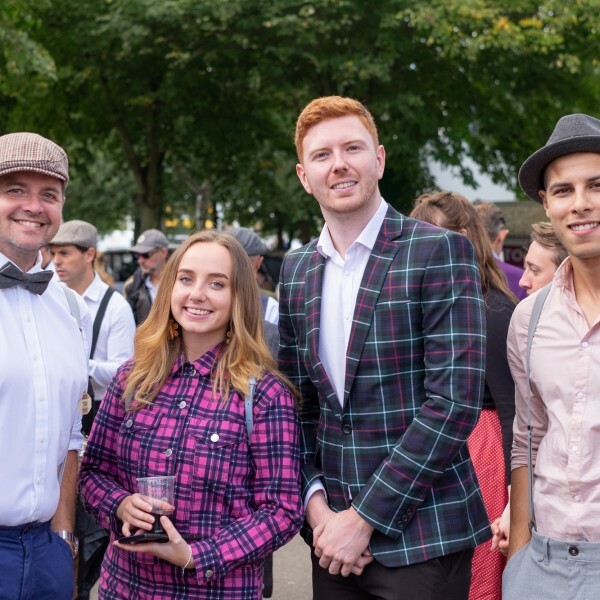 Last year we mixed it up and donned our hats at Ascot, but this year we decided to head back in time and pack our picnic into Sonny, our 1966 VW Campervan, and relive the good ol’ days at Goodwood Revival once more… we’re so glad we did – it was a glorious day. 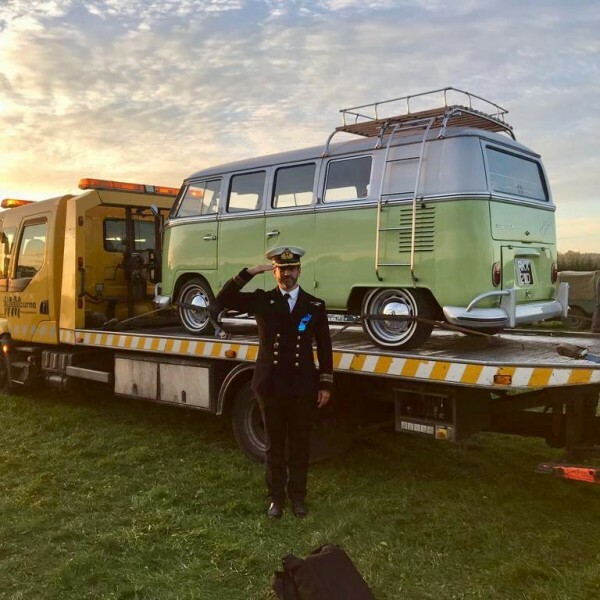 It’s always fun, when you’re dressed to the vintage nines and your vehicle of choice, Sonny our Camper van, decides to breakdown in a bus stop, on the A27, at 7am. 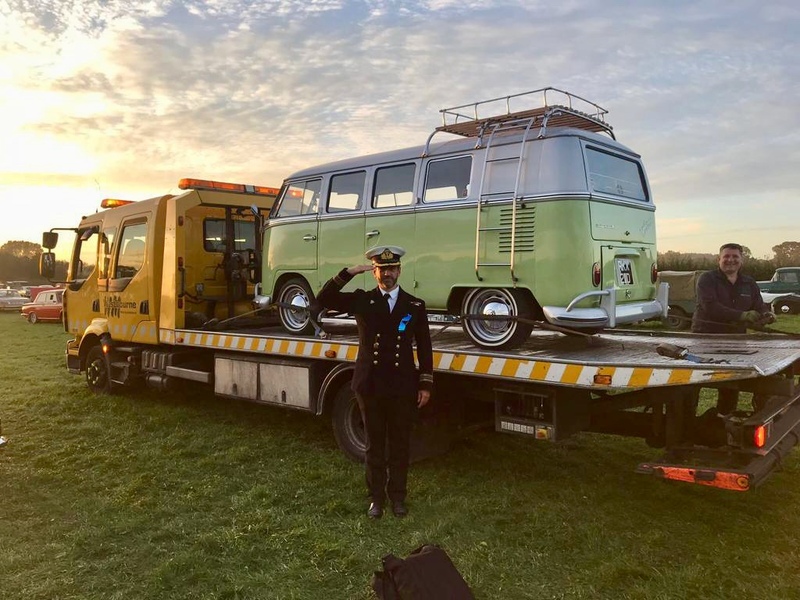 Miraculously, 20 minutes later and whilst on the phone to breakdown recovery, he restarted again and got us two fields away from the car park at Goodwood only to conk out for good. 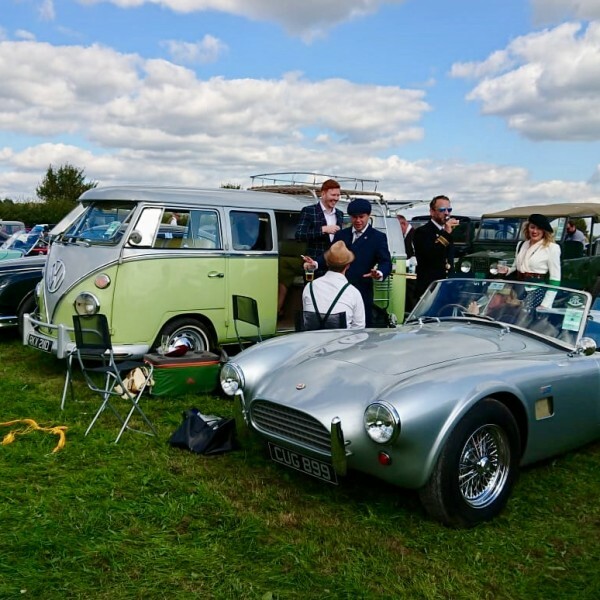 This didn’t stop us though – after a tow from a lovely couple in a vintage Landrover through the gates, the boys pushed him into his parking space and our lunchtime picnic could go ahead as planned. 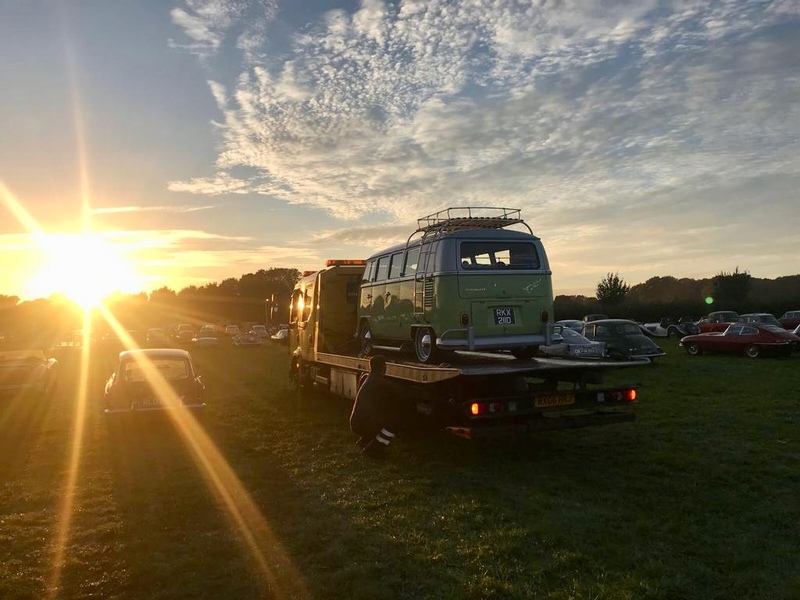 While we sipped on cold, fizzy glasses of prosecco, a breakdown engineer tried to revive him, but to no avail, so we waved him off home at sunset on a tow truck.